The Service and Repair Code commits garages to an open, transparent and fair method of business, aiming to maintain consistently high standards across the industry. By subscribing to the Code, we are demonstrating our commitment to operate as a responsible business and deliver high levels of customer satisfaction. 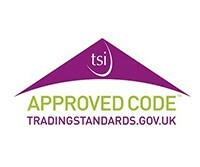 In November 2011, the Service and Repair Code was awarded full Office of Fair Trading approval and now operates as a Trading Standards Institute approved code, giving you the confidence that, with a Motor Codes garage, you can be sure to receive professional, reliable service. We are very proud to announce that as of 15th June 2015, we are now members the motor industry codes of practice. 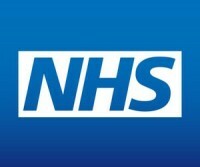 Autotech Garage in Great Yarmouth Is now offering a 10% discount to all NHS staff , on all parts and labour, on producing a valid NHS identification (excluding MOTs). We also offer a FREE pick up and drop off service from your place of work or home (local area). We are proud to announce that we have now become an approved Garage in Great Yarmouth by Auto Care. This gives peace of mind to all our customers, as we have been vetted and approved to be of a standard that offers customers the service and professionalism they expect. Any customer using the autocare approved garage can be assured that the garage is doing its upmost to keep up to date with the latest technologies and training to be able to give the best service to our customers. Autotech is the first Garage in Great Yarmouth to achieve this standard.